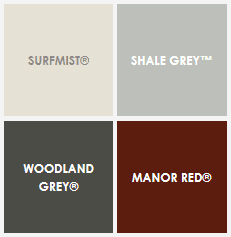 What colour is your roof? The color of the roof is often a concern when selecting solar pool heating, because at times it can be quite visible from the street. Many a pool owner has braved colder water and gone without solar pool heating simply from an aesthetic point of view. But now, those days are gone! 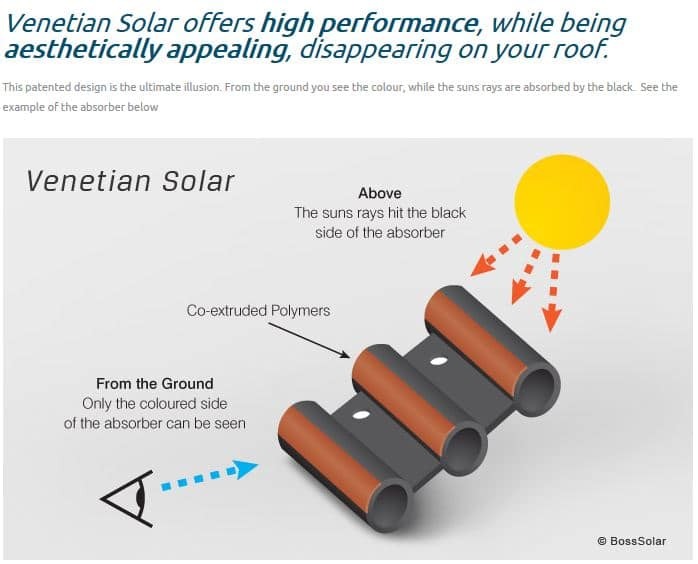 The only solar collector that is colour matching to your roof from the ground and black from the sky view which means, you can have the colour you want aesthetically and still heat your pool with great efficiency. Most solar pool heating systems are installed using either black or white piping, which in most cases is not ideal on red or grey roof, also available with Venetian systems are color matched pipe covers which does away with the need to cover up or paint any pipework. Simple to Install and Service – Venetian Solar is easy to install and service as its components can be quickly and easily fixed or replaced. 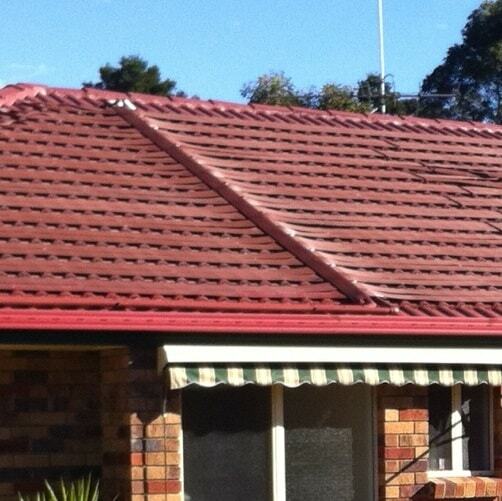 Venetian Solar comes with a 15 year warranty from the date of installation, including internal freezing. (Warranty conditions apply).